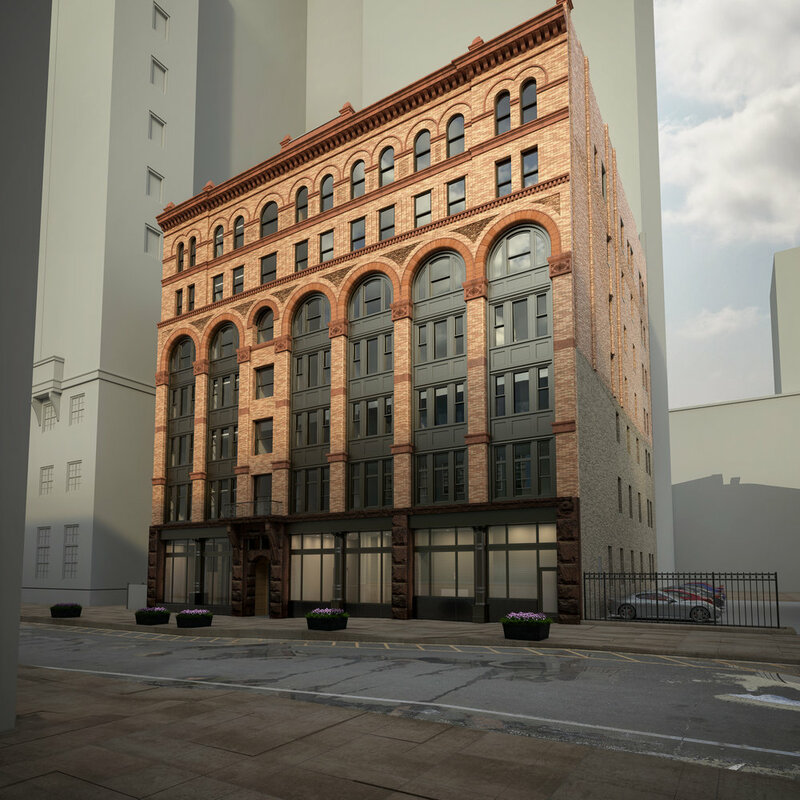 Schooley Caldwell is the architect for this conversion of a 7-story building in downtown Pittsburgh into studio and 1-bedroom apartments. The design for the building includes 88 units in a mix of studio, one-bedroom, and suites, for a total of 120 beds. The building will also feature retail space on the ground floor, a fitness center, and a rooftop deck/clubhouse. The $8 million project is currently under construction and is expected to be complete in 2018.